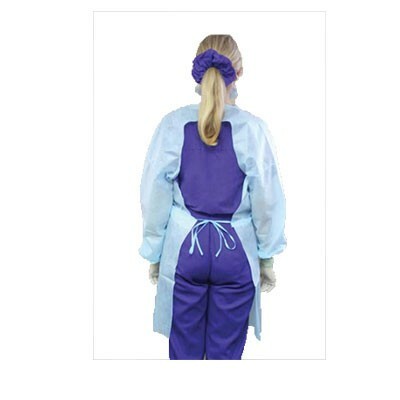 Crosstex Impervious Barrier Gown NBG is latex free and made of a special combination of 100% non-woven spun-bonded polypropylene with a polyethylene coating. Crosstex’s Impervious gown is non-irritating, odorless and fiberglass free. It offers long sleeves with elastic cuffs to fit over gloves. Impervious to most liquids and aerosols. Touch-TabTM Velcro closure neckline and hand-sewn ties at waist. Open back keeps wearer cool.